It's freezing. So I didn't really go outside today. Which was probably good since I am bustin my little hiney to get everything in order for my upcoming vaca...I was quite a productive little worker bee today. Now my brain is COMPLETELY fried. So I have decided to take some online classes this summer. One of which is Statistics. The problem is...I have not taken math for 4 years now and I have to take the Math Placement Exam to get into the dumb class. Don't get me wrong...math is my VERY FAVORITE subject...but if you don't do it for almost FOUR years..ya kinda forget stuff. So today I took the exam to see what it would be like. Well....I must admit...I was in HEAVEN! Although I couldn't remember everything and I missed 4 questions (you can only miss 2), I was LOVING the feeling of Math. I was having a "Mathgasm" if you will. It was fabulous! I was slightly pleased that I didn't pass...besides the fact that I have to pay to take it again tomorrow...because I could go home and have an excuse to do math!! BOOMSHAKALAKA! So after I wrote 3 papers that I had to get done, I turned pandora onto my "piano music" playlist...shut my door...and did math. It has been a magical few hours. 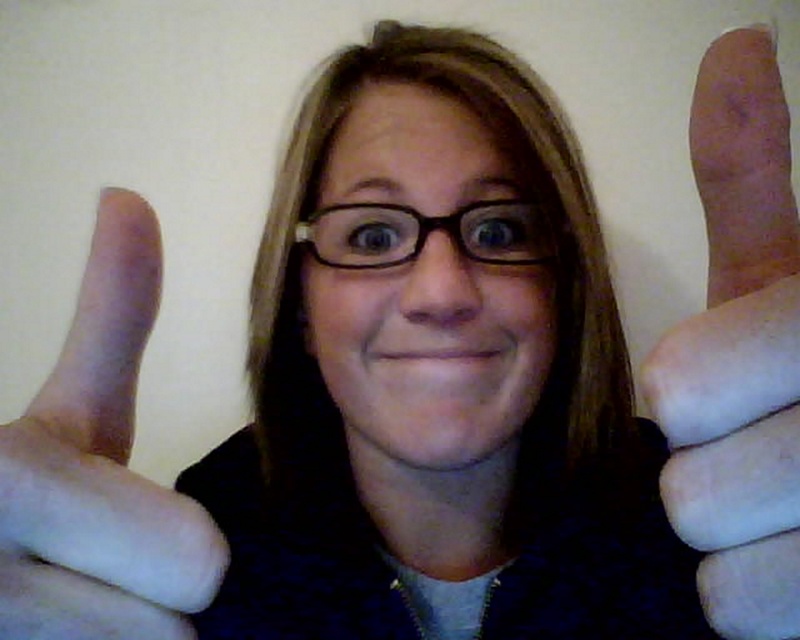 I even put on my glasses to make myself feel even nerdy and slightly smarter. Well...now my brain is fried. My phone vibrated...and I picked up my calculator. Yes, it is time to go to bed and dream about math (I really will) so that I can wake up and DOMINATE that test tomorrow. This means a whole summer of Statistics...I hope it is just as pleasurable as math! !